Meet some of our former Rockwatch members – who have all taken their interest in geology in different educational and professional directions, hopefully inspiring you to take your interests further too. I have had interests in both geology and history since I was very small. Rockwatch has developed my interests in geology through me reading and contributing to the magazine and going on fieldtrips such as trilobite hunting near Llandrindod Wells, one of many Rockwatch field trips I went on. The first field trip I ever went on was a fossil weekend in Lyme Regis which was advertised by Rockwatch. I found lots of fossils, which really spurred me on to collect more. At school, I chose a wide variety of subjects, involving both sciences and history because I was not certain of the route I was going to take. 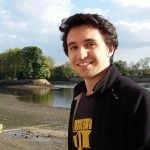 However, when the time came, I found that I was more inclined to go down the history route, and I am currently a second year BA history student at Swansea University. However, geology has an important role in my current work through my interest in the interpretations of geology and other sciences in the seventeenth and eighteenth centuries. I am interested in how natural geological events changed the thought of the philosophers during the enlightenment and helped shape the world we live in today, with a particular emphasis on colonialism in the early modern period. As part of my studies, I am going to China next year for five months. I still retain a keen interest in geology and will look at some of the Chinese geology when I am out there. I hope to continue to contribute to the Rockwatch magazine about the history of geology and historical geological events. Susan Brown adds: After graduating from Swansea with a 1st class honours degree, Edwin did an MPhil at Cambridge in the History of Science, Medicine and Technology. He is now studying for a PhD at Cambridge further developing the topic of his MPhil. He continues to write articles for the Rockwatch magazine, many based on his personal exploration of areas of outstanding geology and their geological history. I first heard about Rockwatch when I saw a leaflet about the club at a meeting of the Southampton Mineral and Fossil Society at the age of 11. I was a member of that society and was already really interested in minerals and fossils. Joining Rockwatch looked like fun and I realised it would give me a chance to develop my knowledge of minerals and fossils and maybe become a geologist one day. So, I joined, and then a few years later entered their national competition (known then as the Rockhound Competition) and in later years, entered the Rockwatch Rock Writer competition. These competitions presented a fantastic opportunity to develop my geological skills and learn more about the subject. I was a competition winner on two consecutive occasions and received some fantastic fossil specimens for my prizes, which still hold pride of place in my collection. The prize-giving ceremony in London was held at the prestigious London HQ of Anglo American who sponsor the annual competition. The Rockwatch Magazine is an excellent source of interesting articles and some, along with the fact cards, even helped with revision for my A-level Geology and Geography courses! And, I’m delighted to say that James has had some articles published in the magazine highlighting some of the field work he did as a student (Rockwatch Chair’s comment). My membership of Rockwatch and the Southampton Society along with the geology and geography I studied at school all led to my decision to study a Master’s degree in Geology at the University of Southampton. 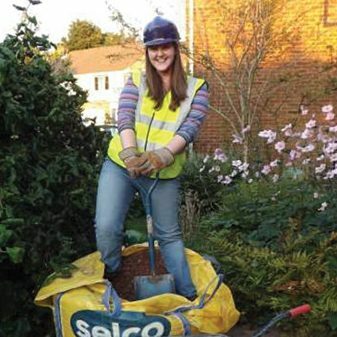 I graduated with a First Class Degree in 2008 and found a job immediately as a geologist for an oil and gas consultancy in Oxfordshire from September 2008 – September 2014. I mentioned my membership and association with Rockwatch during my job interview and the management had heard of the club. This evidence of extra-curricular interest in the subject may also have helped with the job offer I received! Working as a geologist during those 6 years enabled me to travel to many different and exciting countries to do fieldwork, including Norway, Russia, France, Turkey, Oman, Canada and the USA. I have also presented posters and papers at a number of international geoscience conferences. 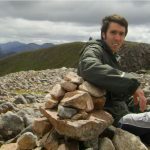 After 2 years of hard work, I finally published my first book* in August 2014, a geologically-themed walking guide to the mountains around Fort William in Scotland (Rockwatch even get a mention in the “About Me” section!). The book is available through a diverse array of internet retailers, bookshops and tourist information centres across Scotland, as well as from a website designed by my family and I: http://www.tax-back.net/Book/book.html It received very favourable reviews in the Rockwatch and the Geologists’ Association’s magazines! In September 2014 I returned to academia to study for a PhD in Geology at the University of Exeter, based at its Cornwall Campus near Falmouth. My research is focussed on reconstructing past “greenhouse” climates during the Palaeocene epoch (~66-55 million years ago), using tiny marine microfossils called foraminifera from deep-sea sediment cores drilled in the South Atlantic and Indian oceans. Foraminifera shells are no bigger than the fine grains of sand you find at the beach and can only be identified with the aid of a powerful microscope. I will use the stable carbon and oxygen isotope signatures, locked into the calcite shells of the foraminifera when they were alive millions of years ago, to determine past changes in atmospheric greenhouse gas concentrations and climate respectively. This work can aid predictions of our future climate over the next few hundred years with ongoing human-induced anthropogenic climate change. I am due to finish my PhD in 2018. I have come a long away and achieved a lot since I first joined Rockwatch, but I think it’s important to recognise that Rockwatch gave me the opportunities for this success, including the opportunity to practise and refine my creative writing skills through entries to the Rock Writer competition, along with the geological knowledge I acquired through the club’s magazine, fact cards and field trips. Currently, I am a PhD student at the Natural Resources Institute and the University of Greenwich, researching the drivers of deforestation in Guatemala as part of a UN REDD+ project there. 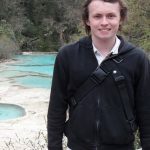 Some of my proudest achievements so far…I published my first peer reviewed paper from my masters research at 21, after working with the Natural History Museum in London while a student at University College London. I then went on to found my own social enterprise helping young people understand their values and aspirations to improve social mobility, which has received £15,000 of funding and is still going strong today. I started “I’m a Geoscientist – Get Me Out of Here!”, a Europe wide initiative for kids to get into geology while I lived in Munich working for the European Geosciences Union. The first run engaged over 500 children from 17 countries. More recently, I have contributed to the development of the UN REDD+ programme by developing and implementing the methodology for assessing drivers of deforestation in a region of Guatemala. My results were reported to the USAID funded Climate, Nature and Communities Guatemala project. Rockwatch has really given me a great head start for almost everything I have done so far, for instance, it helped me get my first job in Dynamic Earth, a stepping stone to much of my later work in science and education. For entering university, my involvement with Rockwatch was also a key point in my personal statement. Being a part of Rockwatch really helped me learn new things and engage, understand and enjoy geology more than I would have if doing it on my own. Rockwatch is an experience I will always look back on and feel proud of and would definitely recommend to any keen young earth or environmental scientist! After my PhD, I don’t yet know where I will go next. 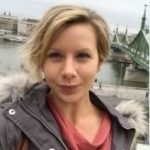 My career has been incredibly varied until now, ranging from geology to heritage science to education and now, to deforestation and development, so I don’t know where life will take me! At each stage so far, starting from being part of Rockwatch, I have made the most of the interesting opportunities I have discovered – living in London, Munich and Guatemala; learning Spanish – and I intend to continue down that path! Susan Brown (Rockwatch Chair) adds: Jane has been a Rockwatch competition winner many times, a Rockstar of the Year on a number of occasions and written articles for our Rockwatch Magazine. When I was 8, my grandma gave me a box of minerals which she had been given years earlier. From then on, I started collecting other rocks and minerals. So, when a stall holder at a craft fayre gave me a leaflet about Rockwatch, I was keen to become a member. Throughout the next 8 years I enjoyed reading Rockwatch magazines and going on field trips as my knowledge of and passion for geology grew. I even won the ‘Rock Artist’ title in 1999, and ‘Rockhound Challenger’ title in 2000! Continuing my interest in geology, I went to Durham University to do an MSci in Geosciences. During my four years in Durham, I was fortunate enough to go on many field trips, including to Cyprus and South Africa! Although I decided not to pursue a career in geology, I developed so many transferable skills through the course of my degree which I have found extremely useful. I am eternally grateful for the opportunities which first Rockwatch, and then my Geology degree, gave me. I decided to train as a primary school teacher and so get the opportunity to teach different aspects of Geology to children. But, for Now I am taking a career break to bring up my young son; maybe he will be a member of Rockwatch one day! Rockwatch helped to foster my passion for fossils from an early age. When I was sixteen, I entered the annual Rockwatch competition. I wrote a report on my own fossil collection, organised all the specimens in a cabinet, gave them all numbers and labels, illustrated and photographed each one, and was delighted to find out a few months later that I was one of the winners! Looking back, this was an obvious step towards becoming a curator, and maybe it even gave me the confidence to study palaeontology at Portsmouth University. I followed this with an MSc in Palaeobiology at Bristol and a PhD on plesiosaurs at University College Dublin. I am now the Collections Access Officer (Natural History) at Wollaton Hall, Natural History Museum, Nottingham. 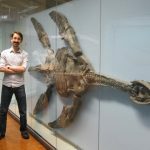 I continue my interests in plesiosaurs with my website: The Plesiosaur Directory. I also have a Dinosaur Toy Blog. Recent work has led to a major new exhibition coming to the UK in the summer of 2017, called Dinosaurs of China. Ever since those early days as a Rockwatch member I’ve remained a strong advocate for the club. Rockwatch continues to encourage, support and inspire new generations of young geologists to pursue a career in Earth science. I have been fascinated by rocks, fossils and natural history for as long as I can remember, so discovering Rockwatch was very exciting for me. 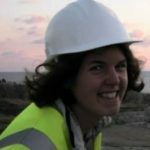 I was keen to enter the Rockhound competition and I was lucky enough to win three times, which gave me a fantastic confidence boost, as well as learning a lot about writing geological reports. (One of Alex’s articles on ‘Brilliant Bryozoans’ was printed in our Rockwatch magazine, issue 31, pages 12 and 13. This issue also had a fact card on Bryozoans). I really enjoyed the many Rockwatch events, ; especially the field trips which I found gave me a big head start next to none Rockwatcher’s when it came to university fieldwork. I studied Palaeobiology and Evolution at Portsmouth University. I experienced some excellent field trips including one to Spain and another to the Laggerstatte of Germany. At Rockwatch events and at university I met some great people, and it was excellent to be around people with similar interests. Whilst at University I was fortunate enough to meet a fellow palaeontologist I had a strong connection with and I am lucky enough to be sharing my life with her. Our house is full of rocks and fossils, even a work bench and professional fossil preparatory equipment is in the downstairs washroom! After university some fellow students and I planned a trip to go dinosaur fossil hunting in the Sahara; however after asking talking to our lecturer Dr. Martill for advice, he decided to come with us, so it became an official University expedition. I bought an old Landrover Defender and prepared it for a grueling trip into the desert. We drove 5000 miles to Morocco’s border with Algeria for a month of dinosaur hunting. 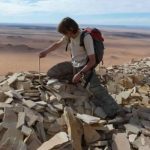 On returning from our expedition I started working on a project on Silurian Biostratigraphy, in the hopes that it would lead to funding for a PhD, unfortunately the financial climate changed and funding wasn’t available. I attempted to continue the project whilst working full time for a charity, however after a few years of working very long hours and studying around my job, I made the tough decision to discontinue the project. The demands of my job had increased and I couldn’t devote sufficient time to the project; I considered the science was suffering and the quality of science must be of a high standard. I am now working as a Biology teacher, using many of the skills I learnt with Rockwatch to inspire and encourage people into enjoying science. I haven’t given up on my palaeontological career and I hope that the long summer holidays that come with being a teacher will allow me to pick up other geological projects, trips and expeditions as well as become more involved in Rockwatch trips and events. I still have my Landrover ready and waiting for the next big geological adventure. Hello, my name is Emily and I have been a proud member of Rockwatch for over 10 years. I am now in my first year at Leeds University studying Geological Sciences. I have always wanted to be a Geologist and Rockwatch has been with me every step of the way. I discovered Rockwatch through my local museum in Cardiff, a club with a great magazine that I wanted to be a part of. Rockwatch has always been brilliant; from being a small child interested in volcanoes and cool shaped pebbles on the beach to happy hunting for trilobites in rocks in Wales and applying for University the club has been there to support me when needed. My school did not teach Geology at ‘A’ level. However, because of Rockwatch not only do I have a wicked collection of rocks, fossils and minerals, but also a knowledge of basic geological concepts gathered from field trips and preparing for, entering and even winning, on occasion the annual Rockstar competition. The field trips have always been great fun with the experts providing a wealth of knowledge and an inspiration to me. I think I may have had more field experience than anyone else in my year at University! The competitions were a chance to dig into subject areas that I really liked, in my case more trilobites and landslides! My whole family were so proud when they saw my work published in both the Rockwatch and Geologists’ Association’s magazines. My friends used to ask me what I will do with my degree, not always understanding the role the geologist plays in our world. What kind of geologist will I be? I am not sure yet, but there is much to choose from, be it out in the field or in the laboratory and on the way there is plenty of incredible stuff to learn. When I graduate in a couple of years’ time I will remember where I started, with Rockwatch, and one day soon I hope to be that expert on a Rockwatch fieldtrip inspiring the next generation. So, thank you Susan and thank you Rockwatch for all your help and support over the last few years. I am not sure I could have done this without you. (Susan says, “I think you could but it’s been fun to share it with you, Emily”). I got interested in rocks and fossils at a young age and as a result, joined Rockwatch after reading about it on the website of the Natural History Museum. Like most children I loved dinosaurs and fossils, but Rockwatch opened up a new world beyond that – an introduction to the scientific procedure and understanding. I always looked forward to receiving my issues of the Rockwatch Magazine and adding more fact cards to my ‘Rox File’. On numerous occasions I participated in the annual Rockstar Competition and was graciously awarded 1st and 2nd prize for a range of technical projects. The prize giving, hosted by Anglo American (now Anglo American Group Foundation) in London, always included a lecture from one of their geologists speaking about a specialised field; these were most inspiring about potential future pathways. There’s nothing more exciting than a field trip, and participating in the excursions organised by Rockwatch were good introductions to the more sophisticated fieldwork I do nowadays. In 2014, when I was a more mature member, I got the opportunity to help out on a field trip for Rockwatch to a couple of my local quarries where I had frequently collected fossils with my family. I ought to thank my family for encouraging and putting up with my endless fossil and rock specimens dotted around the house, and for taking me out collecting across the UK, from the Isle of Wight to the Highlands of Scotland. Joining Rockwatch opened up many great opportunities to explore my passion further and brought me to the attention of related geological events such as the Festival of Geology organised by the Geologists’ Association. It was here I discovered and become a member of my local geological group, the Hertfordshire Geological Society, where I attended monthly lectures and occasional field trips whilst doing my GCSEs and A Levels. Rockwatch helped nurture my hobby, leading me onto learning more advanced geology, and now I find myself studying Physical Geography and Geology at the University of Plymouth, midway between the excellent Jurassic Coast and hard rock geology of Cornwall. At the end of my degree I look forward to a geological related career, and will not forget the fantastic work done by Rockwatch helping me achieve where I am today. Rockwatch was such a big part of my young life that I quite honestly can’t imagine my childhood without it. I’d always had an obsession with dinosaurs from the age of 2 after a visit to the Natural History Museum. On my first day of school in reception class I was able to rattle off the names of a few dozen to my rather confused teacher, and by age 5 I was Mary Anning in the making, hunting ammonites on the Jurassic Coast. Joining Rockwatch allowed me to experience the world of dinosaurs outside my picture books; in our regular meetings I met others equally crazy for them and was able to have extensive discussions about geology and palaeontology. Frequently I nagged my parents to take me on the regular Rockwatch quarry forays around the country, as well as trips to the Isle of Sheppey and Leeson House. To this day the extensive fossil collection of sharks’ teeth, ammonites, trilobites and the odd dinosaur bone that I amassed on those trips remains one of my most prized possessions. Winning the Rockstar competition was an annual endeavour of mine, each year I’d push the boat out for new and unusual projects to win (and the buffet at the awards ceremony at Anglo American didn’t go amiss either). I’m thrilled to see that my painting of a Devonian Age seascape, which I painted for the competition, is still being used as a promotional poster for Rockwatch. The people of Rockwatch encouraged my curiosity which, with our frequent discussions of palaeontology and the natural world, encouraged an interest in science. This lead me into work experience at the Natural History Museum, and later to study Zoology at the University of Exeter (where I took special interest in discussions of the evolution of mammals and dinosaurs). Now I am studying for a Master’s in Ecological Applications at Imperial College London. Currently I am working on my dissertation, on the biological side of how humans might go about terraforming Mars. Using Martian soil created by NASA I am growing extremophile bacteria from some of the harshest deserts on Earth to see if they could survive the Martian landscape. I’m also trying to grow crops such as wheat and barley in the Martian soil and analysing the physical and chemical properties of the soil. Still today I love reading about dinosaurs, watching documentaries and keeping up with the latest paleontological research. Being a part of Rockwatch undoubtedly lead me to pursue a career in science at university and beyond. Thank you to Rockwatch, Susan and everyone else I met in the Rockwatch family for satisfying my fossil obsession, encouraging my curiosity and ensuring this little boy never grew up. It’s been fun.